Perfect to use in combination with the Professional Infrared Blow Dryer and Thermal Protection Spray. 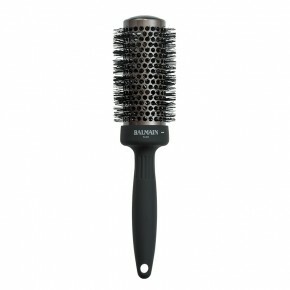 Backstage Secret: For best results, clean your brush regularly by removing remaining hair with a comb. Comb the hair from bottom to top to easily remove the residual hair. The brush is made of ceramic, nylon and abs.